CAMBRIDGE UNIVERSITY PRESS Cambridge, New York, Melbourne, Madrid, Cape Town, Singapore, São Paulo, Delhi, Mexico City Cambridge University Press The Edinburgh Building, Cambridge CB2 8RU, UK www.cambridge.org Information on this title: www.cambridge.org/9781107657601 © Cambridge University Press 2013 This publication is in copyright. Subject to statutory exception and to the provisions of relevant collective licensing agreements, no reproduction of any part may take place without the written permission of Cambridge University Press. First published 2013 Printed in Italy by L.E.G.O. S.p.A. A catalogue record for this publication is available from the British Library ISBN 978-1-107-62508-2 Student’s Book with Answers with CD-ROM ISBN 978-1-107-65760-1 Student’s Book without Answers with CD-ROM ISBN 978-1-107-64281-2 Class Audio CDs (2) ISBN 978-1-107-60964-8 Teacher’s Book ISBN 978-1-107-63438-1 Workbook with Answers with Audio CD ISBN 978-1-107-66444-9 Workbook without Answers with Audio CD ISBN 978-1-107-68863-6 Student’s Pack (Student’s Book with Answers with CD-ROM and Class Audio CDs (2)) Cambridge University Press has no responsibility for the persistence or accuracy of URLs for external or third-party internet websites referred to in this publication, and does not guarantee that any content on such websites is, or will remain, accurate or appropriate. Information regarding prices, travel timetables and other factual information given in this work is correct at the time of first printing but Cambridge University Press does not guarantee the accuracy of such information thereafter. Starting off 1 Work in small groups. Explain what it means to have each of these personal qualities, using your own words. When you have ďŹ nished, look at page 96 to check your answers. 2 Which of the qualities in Exercise 1 do you think each of the photos illustrates? Some could illustrate more than one quality. 3 Work in pairs. s  What type of work do you do or want to do? Why? s  Which of the qualities in Exercise 1 do you need? Why? s  What other qualities would be useful? Why? 2 Look at Questions 1â&#x20AC;&#x201C;10 and quickly check what type of information you need to ďŹ ll each gap. Questions 1â&#x20AC;&#x201C;10 Complete the form below. 1 Work in pairs. You are going to hear a conversation between a university student and a company representative at a graduate fair. Before you listen, look at this advertisement, then discuss the questions below. Are you a high achiever? Do you want a job as soon as you graduate? The worldâ&#x20AC;&#x2122;s biggest companies in IT, marketing, finance, and telecoms want graduates! Now listen and answer Questions 1â&#x20AC;&#x201C;10. Visit the fair and register with them now! 1 What do you think happens at a graduate fair? Why do you think they are useful? 2 Why do many jobs require you to have a university degree? When is vocational training more useful than a university degree? 3 What might improve a graduateâ&#x20AC;&#x2122;s chances of getting the job they want? Vocabulary Dependent prepositions 1 Complete these extracts from the Listening section by writing a preposition in each gap. Sometimes more than one answer is possible. 1 Obviously our interest is related the class of degree that you get. 2 I havenâ&#x20AC;&#x2122;t actually had any experience business yet. 3 I want to concentrate getting my qualiďŹ cations ďŹ rst. 4 So when would you be available an interview? 5 Iâ&#x20AC;&#x2122;m quite good cooking. 6 Have you done any other work in the past that would be relevant a marketing career? 2 Choose the correct preposition in italics in each of these sentences. 1 The money spent on / in research was more than expected. 2 Some bosses are not very sensitive for / to their employeesâ&#x20AC;&#x2122; needs. 3 The company has a reputation of / for producing top-quality toys. 4 It is important to have conďŹ dence in / at your own abilities. 5 A lot of students participated on / in the job fair. 6 Working parents have little time to take care of / for their children. IELTS candidates often make mistakes with prepositions after adjectives and verbs. Find and correct the mistakes in these sentences by changing or adding a preposition. 1 To be a leader, you have to compete your colleagues. with/against 2 Youngsters today are better prepared with working life. 3 It is sometimes hard to get involved into your studies. 4 Universities should provide students the facilities they need. 5 Managers have to be responsible to the staff below them. 6 The government should pay more attention on the education of women. 7 In my job, I have to deal many different types of people. 1 Work in pairs. You are going to read a passage about a prestigious university. Before you read, discuss these questions. 1 What are the most prestigious universities in your country? 2 In general, what makes a university prestigious? 3 Why do many students want to go to a prestigious university? 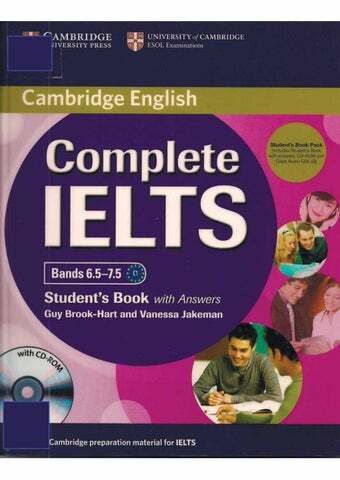 2 Scanning and skimming are skills that will save you time when you do the IELTS Reading paper. 1 Complete these deďŹ nitions by writing scanning or skimming in each gap. a involves running your eyes down the passage quickly in order to ďŹ nd a particular word or phrase. Often these words or phrases will stand out because they are proper nouns, e.g. names. b means reading something quickly in order to understand the main points, without studying it in detail. 2 How will each skill save you time? The MIT factor: celebrating 150 years of maverick genius by Ed Pilkington The Massachusetts Institute of Technology has led the world into the future for 150 years with scientific innovations. he musician Yo-Yo Ma’s cello may not be the obvious starting point for a journey into one of the world’s great universities. But, as you quickly realise when you step inside the Massachusetts Institute of Technology, there’s precious little going on that you would normally see on a university campus. The cello, resting in a corner of MIT’s celebrated media laboratory – a hub of creativity – looks like any other electric classical instrument. But it is much more. Machover, the composer, teacher and inventor responsible for its creation, calls it a ‘hyperinstrument’, a sort of thinking machine that allows Ma and his cello to interact with one another and make music together. ‘The aim is to build an instrument worthy of a great musician like Yo-Yo Ma that can understand what he is trying to do and respond to it,’ Machover says. The cello has numerous sensors across its body and by measuring the pressure, speed and angle of the virtuoso’s performance it can interpret his mood and engage with it, producing extraordinary new sounds. The virtuoso cellist frequently performs on the instrument as he tours around the world. Machover’s passion for pushing at the boundaries of the existing world to extend and unleash human potential is not a bad description of MIT as a whole. This unusual community brings highly gifted, highly motivated individuals together from a vast range of disciplines, united by a common desire: to leap into the dark and reach for the unknown. 6 Read Questions 1â&#x20AC;&#x201C;5 carefully, then read around the words you have underlined in the passage and decide whether each question is True, False or Not Given. 7 Read Questions 6â&#x20AC;&#x201C;9 and quickly check what information you need for each gap. Then, using the title to ďŹ nd the right part of the passage, answer the questions. 9 Check your answers. You can lose marks with: s  answers that are hard to spell. Did you copy your answers for Questions 6, 8 and 9 correctly? s  answers that consist of a phrase, rather than a word. Did you write both words for Questions 6, 9, 11 and 12? s  questions that can easily be misinterpreted. Is your answer to Question 10 a proportion and not a number? Is your answer to Question 12 an innovation? help you to ďŹ nd the right place in the passage. 3 Answer Questions 10â&#x20AC;&#x201C;13.
are employed in companies set up by MIT graduates? 11 What problem does MITâ&#x20AC;&#x2122;s Energy Initiative aim to solve? 12 Which â&#x20AC;&#x2DC;greenâ&#x20AC;&#x2122; innovation might MITâ&#x20AC;&#x2122;s work with viruses help improve? 13 In which part of the university does Tim Berners-Lee enjoy stimulating conversations with other MIT staff? 2 â&#x20AC;&#x201C; 5 Listen to four students answering some Part 1 questions. As you listen, decide on the focus of each studentâ&#x20AC;&#x2122;s answer, then complete the examinerâ&#x20AC;&#x2122;s question by writing one word in each gap. In some cases, more than one answer is possible. Why are you taking your current 1 course of study? a waiter when I was 16. She would sit / sitting on our laps at night â&#x20AC;Ś We used to think / thinking she was a real person. They were used to see / seeing me as someone who couldnâ&#x20AC;&#x2122;t play or make things â&#x20AC;Ś I didnâ&#x20AC;&#x2122;t use to do / doing very much exercise â&#x20AC;Ś I just got used to be / being lazy! I think my ďŹ tness levelâ&#x20AC;&#x2122;s a bit better than it used to be / being! 4 Work alone. Complete these sentences so that they are true for you. Then compare your ideas with a partner. ? used to â&#x20AC;Ś When did you last make something by 3 ? do you do now How much 4 compared with the past? 2 â&#x20AC;&#x201C; 5 In order to achieve a vocabulary score of Band 6 or more, you need to use some advanced vocabulary. Listen again and complete each of these extracts with a word/phrase. s  some advanced vocabulary s  the different forms of used to and would s  sentence stress to express yourself clearly. work in the . Iâ&#x20AC;&#x2122;m looking forward to graduating and getting into . We used to have a black and white cat. She would make these when we came home after school. Heâ&#x20AC;&#x2122;s two, heâ&#x20AC;&#x2122;s a now. My sister and her husband were . Now Iâ&#x20AC;&#x2122;m older, Iâ&#x20AC;&#x2122;m my health. I joined a gym last year and Iâ&#x20AC;&#x2122;ve been making use of its . school? How did you feel about getting up early as a child? Which teacher did you like best at school? Why? What did you particularly dislike about your school days? What did you look forward to most at school? What skills did you learn at school that might be useful in your work? Read and listen to these Part 1 extracts. speakers stress. 1 A couple of years ago, I decided that I wanted to work in the hotel industry. 2 So thatâ&#x20AC;&#x2122;s why Iâ&#x20AC;&#x2122;ve been doing a hotelmanagement course for the past two years. 3 I know that cats donâ&#x20AC;&#x2122;t talk, but this one did! 4 Heâ&#x20AC;&#x2122;s two â&#x20AC;&#x201C; heâ&#x20AC;&#x2122;s a toddler now. 5 I think my ďŹ tness levelâ&#x20AC;&#x2122;s a bit better than it used to be! 2 In which of the above sentences is stress used to emphasise a pronoun because the speaker is: a using it to refer to something in a previous sentence? b making a contrast between two things? think should be stressed, and say why. 2 Listen and check your answers. anything by hand! 4 I tried sewing at school, but I just couldnâ&#x20AC;&#x2122;t do it. 5 My brother did badly at school, yet he earns more than I do! 3 Take turns to read the answers in Exercise 2 to your partner. Work in pairs. Look at the sentences below. graduates. 6 The gap between the number of male and female graduates widened over the period. 7 The trends for male and female graduates were similar. Graduate numbers rose during the 15 years and reached their highest levels in 2007, but there were always more female than male graduates. In 1992, the difference was less marked, with just over 70,000 males and about 100,000 females. However, by 2007 there had been more signiďŹ cant growth in female numbers. That year, they rose to 147,000, compared to just 95,000 males. Thus the gap between the number of male and female graduates had widened. A more detailed look at the graph reveals that the overall growth in numbers was not always steady. Between 1992 and 1995, there was a slight increase. That was followed by a period of about ďŹ ve years, when numbers fell, then ďŹ&#x201A;attened out at just over 70,000 for men and 100,000 for women. After 2000, however, graduate numbers saw their strongest growth rate, and this was well above the increases that had been seen in the early 1990s. favourite activity for many 17-year-olds. Clearly, there were similar trends for male and female graduates over this period, but the number of women graduating increased at a higher rate than the number of men. paragraph to mean ... a not as great? b stronger? What verb is used to describe the changing size of the gap between men and women? What phrase is used to introduce a close analysis of the graph? What verb is used to mean didnâ&#x20AC;&#x2122;t change? What phrase is used with data to mean a little more than? What adjective is used that means small? 8 Work in pairs. Look at this Writing task, then answer the questions below. 1 There was a ten-year period, during which ﬁgures have gradually fallen /gradually fell. 2 By 2008, the percentage of students choosing science subjects decreased / had decreased markedly. 3 Between 2000 and the present day, the numbers remained / have remained steady. 4 Over the past few decades, there has been / was a rapid development in educational technology. 5 After 2005, a more signiﬁcant increase took place / had taken place. 6 Since the 1990s, graduates have experienced / experienced higher unemployment rates. 7 The situation remained / had remained unchanged for the next two years until more universities were opened. 8 In 2002, the university intake was stable, but prior to that, it ﬂuctuated / had ﬂuctuated. Choose the correct verb tense to complete these sentences written by IELTS candidates. How would you introduce the task? What are the key features in the information? How would you highlight the key features? How would you group the information? 9 Write your answer to the task in at least 150 words. Attitude adverbials may express: a feeling or emotion: Sadly, few students have applied for the grant. a context: Generally speaking, grants are only given to postgraduate students. Of course, this is not true in all cases. an attitude: Frankly, I think people should take more care of their pets. an opinion: As far as I’m concerned, all public buildings should be decorated in bright colours. emphasis: As a matter of fact, colour blindness is more common among men than women. Actually, it affects about 8% of men in North America, whereas only 0.5% of women are affected. Attitude adverbials can sometimes come between the object and the verb. Note the use of commas before and after the adverbial when it is not in the usual position in the sentence: He was, surprisingly, very upset = Surprisingly, he was very upset. I must apologize to Isobel for my lateness. She apologized profusely for having to leave at 3.30 p.m. The examples show that you can apologise for something which went wrong. You apologise to the person you are addressing. Remember: a preposition must be followed by a noun, noun phrase, pronoun or verb + -ing: He apologised to me for damaging my car. For a list of common verbs, adjectives and nouns and their dependent prepositions, see page 123. Emphasising We emphasise things to show that they are particularly important or worth giving attention to. Two common ways of emphasising are fronting and cleft sentences. Fronting We often place information at or near the beginning of a sentence to emphasise it. To do this, we have to alter the normal word order of the sentence. We can do this by: placing the complement or direct object of a verb before the subject. Compare these sentences: We know quite a lot about the Moon and Mars. We have less information about Venus. We know quite a lot about the Moon and Mars. Venus, we have less information about. placing the subordinate clause before the main clause. Compare these sentences: NASA has sent a spacecraft to Mars because they want to ﬁnd out if there is life there. Because they want to ﬁnd out if there is life on Mars, NASA has sent a spacecraft there. placing preposition and adverb phrases that are not part of another phrase before the subject of the sentence. Compare these sentences: There is a lot of interest in space exploration despite its cost. Despite its cost, there is a lot of interest in space exploration. Cleft sentences These are some ways of forming cleft sentences: What + subject + auxiliary verb + is/was + inﬁnitive with/without to: The Chinese sent a probe to the Moon. ­ What the Chinese did was to send a probe to the Moon. People don’t think about the level of planning that is involved. ­ What people don’t think about is the level of planning that is involved. What + subject + main verb + is/was + inﬁnitive with to: Space explorers want to ﬁnd water on other planets. ­ What space explorers want is to ﬁnd water on other planets. It + is/was + noun/noun phrase + (that): The astronauts enjoyed the space walk most. ­ It was the space walk that the astronauts enjoyed most. All (that) + subject + verb + is/was: We only require political will to set up a permanent base on the Moon. ­ All (that) we require to set up a permanent base on the Moon is political will. Expressing large and small differences We can use words and phrases with comparative forms to express large and small differences. A house in London may cost twice as much as a house in the north of England. A house in the north of England may cost half as much as a house in London. A house in the north of England may cost 50% as much as a house in London. three times, four times, 50%, etc. + more/greater, etc. than: Fuel prices in Western Europe are on average 40% higher than in North America. a quarter, one-and-a-half times, double, three times, etc. + the number/amount + of + as: The British import three times the amount of sugar as the Portuguese. The Portuguese import a third the amount of sugar as the British. Note the use of as not than: Men can eat two-and-a-half times the number of calories than as women. Expressing large differences We can say there is a large difference between one thing and another with the following patterns: much/far/a lot/considerably + adjective/adverb + -er more + adjective/adverb: Scientists have found that eating ﬁsh is far healthier than eating red meat. Health risks for overweight people are considerably more substantial than for people whose weight is normal. not nearly as + adjective/adverb + as: The British do not eat nearly as much ﬁsh as the Spanish. Saying things have no similarity We can say that things have no similarity by saying: X is completely/totally/entirely/quite different from/to Y: The Chinese medical system is completely different from the American one. X and Y are not the same at all / X and Y bear no similarity to each other: The Chinese and American medical systems bear no similarity to each other. Expressing small differences We can express small differences between one thing and another using these patterns: slightly / a bit / a little + adjective/adverb + -er/more + adjective/adverb: Slightly lower speed limits have led to considerable reductions in trafﬁc accidents. Scientists have found that by eating a little more slowly, stress levels are signiﬁcantly reduced. not quite as + adjective/adverb + as: The graph shows that consumption of chocolate was not quite as high in 2012 as in 1992. nearly/almost as + adjective/adverb + as: Coffee drinking was nearly as popular in 2011 as in 2010. Expressing purpose, cause and effect We can use the following words/phrases to express or introduce: a purpose: – with the aim/purpose/intention of ...: The law was introduced with the intention of encouraging more young people into higher education. – The aim/purpose/intention (of ...) is/was to …: The purpose of the experiment was to see whether the disease had a genetic component. – so as to / in order to: The entrance was altered so as to make wheelchair access easier. – so / so that: He studies at night so (that) he can work during the day. a cause: – The cause of X is/was …: The cause of children’s failure to learn maths is often poor teaching at school. – X is/was caused by …: The increase in unemployment has been caused by the ﬁnancial crisis. Generalising and distancing We have a number of ways of talking in general, or making general points that may not be true for every case. These may also soften your tone and distance you from the argument. (This is considered good academic style.) We can use: attitude adverbials (see page 112), e.g. on the whole, in general, broadly speaking, generally speaking, generally, by and large, as a rule, in most cases, on average: By and large, artists don’t make much money from their art. As a rule, art is a greater part of the curriculum in primary schools than in secondary schools. verbs and phrases, e.g. tend, seem, appear, have a tendency, be liable, are likely + inﬁnitive: Small children tend to be more creative than adults. Art works have a tendency to increase in price when the artist dies. Children are liable to get frustrated when they can’t express their feelings. be argued that: s  ItIt can can be argued that sport is more important than art in the school curriculum. It is (generally/often/usually/sometimes, etc.) claimed/ suggested/argued/said that: It is often suggested that young children have more facility for learning languages than adults. … is/are (generally/often/usually/sometimes, etc.) believed/felt/understood/claimed/thought to be: Women are often thought to be better at multi-tasking than men. Some / Many / Most / The majority of people/teachers/ experts, etc. argue/suggest/believe/claim/say/agree/ think/feel/take the view that: Most experts agree that children should start their formal education from the age of three. Note how the modals, verbs and adverbs in these examples soften the writer’s tone and make the argument more thoughtful and less assertive. This is good academic style. Introducing our own arguments and opinions We can introduce our opinions using these phrases (we can use personal/personally to emphasise that the opinion may not be shared by other people): I (personally) (tend to) think/feel/believe that … I (personally) agree with X that … In my (personal) opinion / From my point of view, … My (personal) feeling / belief / opinion / view / point of view is that … I (personally) (would ) take the view that … My (personal) opinion is that … I (personally) would argue/suggest that … I (personally) (would ) agree with the view/idea/suggestion that … I personally would suggest that adults are just as capable of learning languages as children if they make enough effort. Note: unlike other people’s arguments, personal arguments have a very strong tone in an essay and should, therefore, not be used too often. Negative afﬁxes Afﬁxes are letters or groups of letters added to the beginnings or ends of words to form other words. Afﬁxes added at the beginning of a word are called preﬁxes. Those added at the end of a word are sufﬁxes. Note: when we add a negative afﬁx, we do not normally change the spelling of the original word. For example, when we add dis- to the adjective satisﬁed, the new word is dissatisﬁed. When we add -less to hope, the new word is hopeless. Past simple, present perfect simple and past perfect simple We use the past simple tense to describe: something that happened at a speciﬁc time in the past: Alexander Fleming discovered penicillin in 1928. a state at a speciﬁc time in the past: At the time of the American Declaration of Independence, the United States consisted of just 13 states. things which happened over a period of time in the past, but not now: The number of overseas students in Canadian universities rose between 2008 and 2011. actions or events which happened one after the other: They dug the foundations, then they built the walls and ﬁnally they put on the roof. When we use the past simple, the past time is usually stated (yesterday, while he was a student, in the 18th century, etc.) or clear from the context (Did you give your tutor that essay? (i.e. when you saw him)). We use the present perfect tenses to describe: past events, if we do not say exactly when they happened, or if the past time is not implied by the speaker: Brazil has won the World Cup several times. a past event which has a result in the present: Scientiﬁc research has led to the discovery of an important new antibiotic. something which started in the past and is still happening now: The authorities have been working on this project for six months (and they’re still working on it). We use the present perfect with time adverbs that connect the past to the present, e.g. just, already, lately, since, so far, up to now, yet: Figures have risen since 2005. So far, little has been done to improve the situation. There has been a lot in the news about this issue lately. The past perfect simple tense is used: to indicate that we are talking about an action which took place, or a state which existed, before another activity or situation in the past (which is described in the past simple): When I got to the lecture theatre, the class had already started. (Compare this with When I got to the lecture theatre, the class started. 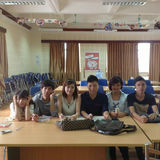 This indicates that the class started when I arrived.) typically with time expressions like: when, as soon as, after, before, it was the ﬁrst time, etc. : The number of students went up for ten consecutive years. It was the ﬁrst time I’d ever ﬂown. with by + a time: By 2010, it had risen to over 15,000. with these adverbs: already, just, never: Dimitri had already done a degree in biology when he decided to study medicine. 1 Verb + adverb particle These verbs may be: a intransitive, i.e. they don’t have an object: She doesn’t earn a lot of money, but she gets by. (manages to live) b transitive, i.e. they have an object: You should back up your ideas with examples. (support) (Here, your ideas is the object.) With transitive verbs, when the object is: a noun, the noun can come between the verb and the adverb particle: You should back your ideas up with examples. a pronoun, it must come between the verb and the adverb particle: My ideas are unconventional, but I know you’ll back them up. Not: I know you’ll back up them. 2 Verb + preposition These verbs are always transitive, i.e. they always have an object. The object (noun or pronoun) always comes after the preposition: I always go over my notes at the end of lectures. (check) Not: I always go my notes over at the end of lectures. 3 Verb + adverb particle + preposition These three-part phrasal verbs are always transitive, i.e. they have an object. The object always comes after the three parts: Let’s get down to work. (start to direct your efforts towards something) A good learner’s dictionary will tell you which type of phrasal verb each is. Look at these extracts from the CALD: go down (BE REDUCED) phrasal verb to be reduced in price, value, amount, quality, level or size: The temperature went down to minus ten. No object is indicated in the deﬁnition, so this phrasal verb is type 1a (verb + adverb particle, intransitive). note sth down phrasal verb to write something so that you do not forget it: I noted down his phone number. The object (sth = something) is placed between the verb and the adverb particle, so this is type 1b (verb + adverb particle, transitive). I noted his phone number down is also correct. deal with sth (TAKE ACTION) phrasal verb to take action in order to achieve something or in order to solve a problem: How do you intend to deal with this problem? The object (sth = something) is placed after the two parts of the verb, so this is type 2 (verb + preposition). put up with sth/sb phrasal verb to accept or continue to accept an unpleasant situation or experience, or someone who behaves unpleasantly: I can put up with the house being untidy, but I hate it if it’s not clean. This deﬁnition has an adverb particle and a preposition before the object (sth/sb = something or somebody), so this is a three-part phrasal verb (type 3). Note: transitive phrasal verbs can have a noun/noun phrase as an object, or in many cases verb + -ing: The majority of young smokers give up smoking in their 30s. An exception to this is turn out, which is followed by the inﬁnitive: The charity event turned out to be much more successful than the organisers had hoped. Prepositions with advantages and disadvantages We can express advantages and disadvantages with these words and dependent prepositions: advantage/disadvantage – of a situation/circumstance/action – for someone/something affected by the advantage/ disadvantage The advantage for young people of knowing how to drive is that they are more independent. For dancers, the disadvantage of having big feet is that you may step on other people’s toes. give/have an advantage over someone/something: Cycling has several advantages over driving; for example, you don’t have to ﬁnd somewhere to park the car. beneﬁt (noun) – of a situation/circumstance/action – to/for someone/something affected by the beneﬁt The beneﬁt of work experience to young people is that they learn things they wouldn’t learn at college. beneﬁt (verb) from a situation/circumstance/action Francesca’s health has beneﬁted from the fresh sea air. be of beneﬁt to someone/something affected by the beneﬁt (expression) I hope this book will be of beneﬁt to you. drawback – of a situation/circumstance/action – for someone/something affected by the drawback The drawback of modern medicine for governments is its high cost. Note: The phrases pros and cons and ups and downs are informal and best avoided in written work. Referencing We can use referencing devices to refer to things mentioned earlier and in this way avoid repeating them. Good writers make use of a mix of reference devices and linkers. Pronouns We use they/them for people in the singular when we are talking in general about males and females, but we cannot specify their gender: When a child plays a computer game, he/she they are often training his/her their reﬂexes. We use it, this, that, they, these, those, such to refer to the things last mentioned: Technology companies are continually innovating to stay ahead of the competition. This means that any device you buy is likely to be obsolete quite soon. Which pronoun: it, this or that? We use it, this and that (in the plural they, these and those) to refer to something we have already mentioned. Often more than one of them is correct in the context. However: we use it when we are not making any emphasis: The participants found the introduction to the experiment rather unclear. It didn’t really help them understand what they had to do. this and that are more emphatic in drawing attention to the thing just mentioned: A new system of tagging was devised, and this gave the researchers a much better picture of the birds’ migration patterns. we often use this when: – we still have something more to say about the thing we are referring to: We’ve recommended opening an ofﬁce in Belgrade. This will be discussed at the Board meeting next month. Many of our staff have been off sick this month. This has meant that we have fallen behind with our orders. Scientists have come up with a new feature for the space probe. This will be demonstrated next month. Leaders have been unable to agree on the best strategy. This has delayed proceedings. – we refer to the second of two things mentioned in the previous sentence. Compare: 1 The severe drought has resulted in a poor harvest. This has led to famine in certain parts of the country. (this = a poor harvest) 2 The severe drought has resulted in a poor harvest. It has also affected livestock. (it = the severe drought) we often use that in conditional sentences: It would be good to experience both lifestyles if that were possible. One, another, the ones, the other, the others, both, neither, all, none We use one to refer to singular countable nouns from a group: There are a lot of good tablet PCs on the market now. The one I use is quite expensive but very versatile. We use a(n)/the … one with an adjective: There are several modern word-processing programmes, so I don’t know why they’re still using an old one. We use another to refer to the second, third, etc. singular countable noun from a group: One app gives you a weather forecast, while another brings you your favourite radio station. We use ones to avoid repeating a plural noun: She has several mobile phones and she keeps the ones she’s not using in a drawer in the kitchen. We use the other when referring to the second of two things/people already mentioned: Pam has two cars: one is a Ferrari and the other is a Rolls. We use the others when referring to the rest of a number of things/people already mentioned: Three of my classmates went abroad to study, whereas the others stayed in my country. We use both and neither to refer to two things/people: He’s got two houses. Both are by the sea; neither was very expensive. We use all and none to refer to more than two things/ people: Tanya has three computers. All of them are old and none of them works. Speaking hypothetically (including overview of conditionals) We can talk about hypothetical situations and events – i.e. ones which are imaginary, theoretical or contrary to the facts – by using the second and third conditionals, or a combination of both. Other ways of expressing second and third conditionals We can use these more formal phrases instead of if: on (the) condition (that), providing/provided (that): She would only accept the position on condition that she was given the contract in writing. To be more emphatic, we can use as long as or even if: Consumers would always buy a second-hand car as long as it hadn’t been in an accident. Even if there were ﬁnes, people would still drop litter. Instead of if + negative, we can use unless: As a child, I wouldn’t go swimming unless the sea was warm. Note: we can combine second and third conditionals if one part of the sentence refers to the present and the other part refers to the past: 3rd conditional 2nd conditional If she had passed the exam last summer, she would be at university now. 2nd conditional 3rd conditional If I couldn’t speak French, I wouldn’t have been given the job. These are sometimes called mixed conditionals. Second conditionals – alternative constructions We can use these constructions to express second conditionals: To express an unlikely conditional: If /Unless + subject + were + inﬁnitive: If I were to sell the necklace, I’d probably get a lot of money. To say ‘if someone/something didn’t exist’: If it were not for + noun: If it weren’t for my smart phone, I’d never keep in touch with all my friends. To emphasise ‘if someone/something didn’t exist’: Were it not for + noun: Were it not for Julie, we’d never ﬁnish the project. Third conditionals – alternative constructions To emphasise a third conditional: Had + subject + (not) + past participle: Had we had more time, we would have been able to ﬁnish the work. Had he not called the ofﬁce, he wouldn’t have found out about the meeting. To say ‘if someone/something hadn’t existed’: if it hadn’t been for + noun: I couldn’t have written the article if it hadn’t been for his research. To emphasise ‘if someone/something hadn’t existed’: Had it not been for + noun: Had it not been for Saleem’s help, I wouldn’t have known how to address the problem. how certain we feel about them. Note carefully the adjective and adverb collocations (e.g. we say highly unlikely but not high likelihood ) which are used with each phrase. Itâ&#x20AC;&#x2122;s highly unlikely that WELL BE ABLE TO PREVENT THE !RCTIC ICE  from melting. Thereâ&#x20AC;&#x2122;s little doubt that the climate is changing. I very much doubt that we shall be able to reverse the process of global warming. Thereâ&#x20AC;&#x2122;s every likelihood that man will return to the Moon in the near future. Space travel is bound to continue. Itâ&#x20AC;&#x2122;s very probable that tigers will become extinct in the wild. Governments are likely to reach a new agreement on carbon emissions in the future. In 20 years, all cars may well be electric. Itâ&#x20AC;&#x2122;s fairly unlikely THAT THE !NTARCTIC ICE CAP WILL MELT COMPLETELY Space tourism will probably BECOME QUITE COMMON Thereâ&#x20AC;&#x2122;s a strong possibility that environmental policies will dominate politics in the future. Thereâ&#x20AC;&#x2122;s a fair chance that severe storms will become more common. We could possibly experience the coldest winter on record next winter. Thereâ&#x20AC;&#x2122;s a chance that SEA LEVELS WONT RISE VERY MUCH Thereâ&#x20AC;&#x2122;s little likelihood of western societies abandoning consumerism. Thereâ&#x20AC;&#x2122;s a slight possibility that the whole environmental situation will improve one day. The chart shows that the second most important reason for emigrating is work. To express a big difference between the largest, most important, etc., we use by far, much: Getting useful qualiďŹ cations is by far the most important reason for studying abroad. The job was much harder than I expected. To say something is a little less than the largest, most important, etc., we use nearly, almost, not quite: It is not quite the oldest university in the country. To say something is part of a group of the largest, most important, etc., we use one of and among: Abba is one of my least favourite groups. The Komodo dragon is among the largest reptiles in the world. Note: we say least favourite to mean the opposite of favourite, but we do not use most with this adjective: most favourite. To talk about things we have wanted to do very much for a long time, we can use dream of: He dreams of becoming a top medical researcher. To say we feel pleased or excited about something we think is going to happen, we can use look forward to (three-part phrasal verb): I’m looking forward to my summer holidays. To talk about something good that we think will happen in the future, or that we feel conﬁdent will happen in the future, we can use hope: Kioshi hopes to study medicine in Brisbane next year. I hope that I will be able to work abroad after I graduate. To say we think something will happen, we can use: – expect: Anita expects to be promoted at the end of the month. – be likely to: The job is likely to be quite challenging. To say what we want for the future, we can use: – want: I want to become a doctor. – would like: Pandora would like to get a place at Yale. To say there is something we want for the future, but which we think is unlikely or impossible, we can use I wish I could / I wish you/he/she/they would: I wish I could study at Harvard, but I cannot afford it. I wish they would increase student grants. Note that wish is followed by would or could, whereas hope is followed by the inﬁnitive or a present, future or past tense. To say we do not think something will happen, we can use: – don’t expect: I don’t expect to ﬁnish in the ﬁrst three in the race. – unlikely: She’s unlikely to be elected to the student council. Use and non-use of articles The indefinite article a/an We use a/an with something general or non-speciﬁc, or when we refer to something for the ﬁrst time: Can I borrow a pen? (= any pen) Dr Sykes gave a lecture on 19th-century porcelain. We also use a/an to: refer to someone’s job or function: She’s a physiotherapist. mean one: The ﬂat has a sitting room and two bedrooms. The definite article the We use the: when we know what is being discussed, e.g. it may be something speciﬁc, it may have been mentioned before, or there may be only one of it: The university is holding the seminar next Wednesday. (= the university we study at, the seminar we have already mentioned) with plural countable nouns to refer to something known, something speciﬁc or to something that has been mentioned before: An experiment was carried out on 500 school children. The children were divided into two groups. with superlative and other similar adjectives: The most surprising result was also the most signiﬁcant. We didn’t know what would happen until the ﬁnal moment. in the … the comparative structures: The harder you study, the more you’ll learn. with the following names: – a few countries: the United States, the Netherlands. Note: Most countries are used without articles: England, China. – rivers, seas and oceans, island groups, mountain ranges and deserts: the Amazon, the Black Sea, the Paciﬁc, the Bahamas, the Alps, the Sahara Note: individual islands and mountains have no article: Majorca, Everest. She used to call her mother every day when she was in Australia. (past habit or repeated activity) The negative is did not use + inﬁnitive: Katya didn’t use to be a nurse. The question form is Did … use + inﬁnitive …? : Did you use to play the piano? Note: used + inﬁnitive is only used in the past. It cannot be used in other tenses. We use would to talk about past habits or repeated activities: Every day, he would get up early and go for a run. Note: we cannot use would for past states: The price of oil would used to be much lower. We use be/become/get used to + noun/noun phrase/ pronoun/verb + -ing to mean ‘be/become/get accustomed to’: You’ll soon get used to living in Toronto. Note: be/become/get can be used in any tense: He wasn’t used to the cold weather. I’ve become more used to city life now. The ﬁsh’s skeleton is transformed up to the point when no organic matter remains. To show the last stage in the process: ﬁnally, lastly, eventually*, in the end*: Eventually, tectonic movements thrust the sea bed to the surface, and the fossil is uncovered. * Note: eventually and in the end are used to mean ‘after a long time’ / ‘after a long process’. At last is not correct in this context. At last implies that you were impatient for something to ﬁnish: At last she’s answered my email! Sun, and this changed the way people saw the Universe. This can also be expressed using a verb + -ing: Copernicus realised that the Earth revolves around the Sun, changing the way people saw the Universe. Note: – Use a comma to separate the main clause (Copernicus realised that the Earth revolves around the Sun) and the consequence (changing the way people saw the Universe). – The subject of the verb + -ing is the whole of the main clause. Using commas We use commas: after subordinate clauses* when they come before the main clause: Although great efforts are being made to protect endangered species , many are in danger of extinction. Note: when the subordinate clause comes after the main clause, a comma is not necessary. with non-deﬁning relative clauses*: The Ngorogoro Crater , which is in Kenya , is one of the most-visited game reserves in Africa. before co-ordinate relative clauses*: The course will not start till mid-October , which is quite late for most students. to separate items on a list, except for the last two items when they are separated with and: The chart shows ﬁgures for plants , mammals , reptiles and birds in New Zealand. after adverbs/adverbial phrases at the beginning of sentences: However , I do not agree with this point of view. In contrast , 87% of women say they do housework regularly. It is difďŹ cult to understand such large changes , but we have to try. We have to solve the problems caused by insecticides , or farmers will be unable to grow their crops. when we put more than one adjective before a noun (unless they are all short, common adjectives): a simple , long-term solution a little old man when two nouns/noun phrases are together and one describes the other; the commas go before and after the second noun/noun phrase: One ocean liner , the Titanic , has been the subject of numerous ďŹ lms and books. before and after adverbs which are in an unusual place in the sentence: Folk music, however, is more popular with people over 40. (However is normally placed at the beginning of the sentence.) in numbers, to separate hundreds and thousands and thousands and millions: 1 , 550 , 444. Note: you can also leave a space instead of a comma between hundreds, thousands and millions. Dots are used to indicate decimals. * Subordinate clauses are clauses introduced by words/ phrases such as when, while, as soon as, before, after, because, although, since, whereas, if, unless, etc. Non-deďŹ ning relative clauses are clauses which give extra information when you already know what is being talked about. Co-ordinate relative clauses are relative clauses which start with which, come at the end of the sentence and refer to the whole of the sentence. Word lists Abbreviations: n/np = noun / noun phrase; v/vp = verb / verb phrase; adj/adjp = adjective / adjective phrase; adv/advp = adverb / adverb phrase; pv = phrasal verb; T/I = transitive / intransitive; C/U = countable / uncountable The numbers indicate the page on which the word or phrase ﬁrst appears. RS indicates that the word or phrase appears in the recording script. demographics n [U] (37) the quantity and characteristics of the people who live in a particular area, for example their age, how much money they have, etc. sleep patterns plural n (39) Someoneâ&#x20AC;&#x2122;s sleep patterns are their sleeping habits, for example, how much they usually sleep and when they usually sleep. evaluate v [T] (31) to consider something carefully and decide how good or important it is fall behind (someone) vp [I/T] (32) to make less progress than other people who are doing the same thing high stakes plural n (33) great advantages that could be gained in a situation and great disadvantages that could also be the result hinge on something vp [T] (33) to depend completely on something inoculate v [T] (30) to give a weak form of a disease to a person or an animal, usually by injection, as a protection against that disease joint n [C] (30) a place in your body where two bones meet to make matters worse phrase (32) used before you describe something bad that happened, making a bad situation even worse medication n [C/U] (33) medicine that is used to treat an illness open the door to something phrase (33) If one thing opens the door to another thing, it makes it possible for that second thing to happen. sports injury np [C] (30) damage to your body caused by doing a sport substantially adv (37) by a large amount symptoms plural n (33) physical feelings or problems which show that you have a particular illness therapeutic adj (33) helping to cure a disease or improve your health therapy n [C/U] (31) a type of treatment for an illness or injury treat v [T] (30) to give medical care to someone for an illness or injury undergo v [T] (34) to experience something, for example, a medical treatment a wave of something np [C] (33) a period in which there is an increase in a particular type of activity well-being n [U] (33) A feeling or sense of well-being is a feeling of being healthy, happy and comfortable. a vehicle for something / doing something phrase (41) a way of making something happen, often a way of communicating ideas visual art form np [C] (RS) something that someone has made to be beautiful or to express their ideas which can be seen, for example a painting or a sculpture wash away vp [T] (RS) If water washes something away, it removes that thing. when it comes to something / doing something phrase (RS) used to introduce a new idea that you want to say something about work of art np [C] (40) a very beautiful and important painting, drawing, etc. allocate v [T] (56) If you allocate a task to someone, you give them that particular task. keep themselves to themselves phrase (55) If a group of people keep themselves to themselves, they stay with that group and do not spend time with other people. plummet v [I] (55) If an amount or level of something plummets, it suddenly becomes very much lower. anything but (sophisticated) phrase (63) If someone or something is anything but a particular quality, they are the opposite of that quality. ďŹ&#x201A;ora and fauna phrase (80) The ďŹ&#x201A;ora and fauna of a place are its plants and animals. intrinsic merit np [U] (85) If something has intrinsic merit, it has qualities itself. it is not uncommon for phrase (85) If you say it is not uncommon for something to happen, you mean it quite often happens. the universe singular n (84) everything that exists, including stars, space, etc.